One autumnal Sunday morning in Lecco, on the shores of the beautiful Como Lake, few years ago. As many Sunday morning, I was there with my friends, our motorbikes parked on a long line of hundred motorbikes, standing in leather suites and helmets religiously under the arm, talking with other riders about – guess what – motorbikes. I want to do a great concert! Me and my friends looked at each other in the eyes, no word spoken, but clearly thinking “who’s this madman!?”. “I’m telling you guys this because I love riders. And do you know why I love motorbike riders? What a beautiful declaration – he wasn’t a madman at all! Few years have passed, and I still love motorbikes. But what moves me the most is something else. This time is Salsa, or to be more correct Latin music. But the sensations are the same: I feel ALIVE, I feel PASSION. This is Salsa for me: PASSION. It could have been football, photography, news, techno music, cooking, TV series, astrology, reading, running, movies, shopping, knitting, ballet, travelling, science, whatever. While I like some of those things, Salsa music is what moves me the most. I dance, I play, I listen and I live it. Yes, I live it. And the news is that I’m tired of some people reacting without respect when I say “I’m really passionate about Latin music” or “I really like Salsa” or simply “I dance Salsa”. I won’t respect anyone that react giggling and laughing when I say it. Not because they don’t respect me, but because they don’t respect my passion. Do they have something that moves them, anyway? Do they know how it feels? Do I want to share my time with them? Maybe they associate Salsa with some classes they took for fun, and quit because felt too uncomfortable to move their body? Maybe because they spend their life studying something “because there are many jobs in that sector”, topics that may help them to make money, cultivating hobbies to know the right people, and doing things only to be accepted? Can they genuinely say what they love without being uncomfortable? I’m not going to step back and avoid talking about it – like I used to do – hiding myself behind a false image. I urge to be genuine. I’ll keep around me whoever is living with fervor, whoever is genuine, whoever is not afraid to say what he/she loves. Whoever respects what someone loves because knows how it feels, and relate to it, and connect to it, and identify himself in it. I stay with the millions of Latinos (and not) that go crazy for the Salsa music, deeply impregnated with their culture. I stay with Cheo Feliciano, Ruben Blades, Herman Olivera, Eddie Palmieri, Jose’ Lebron, Ray Perez, Wayne Gorbea and the others artists I had honor and luck to see in those years, singing and genuinely saying “Que viva la Salsa!” (long life to Salsa). And the cool thing is that I don’t even need to write why I like Salsa so much. First because the title of this post is not “why I love Salsa” but rather “what Salsa is for me”, and second because “no reason is needed for loving” Coelho wrote on The Alchemist and I agree with him – it’s nice sometimes not to question the mind about the feelings. Salsa is the music I like the most, the one I’m never tired of listen (“in the 8 hours drive back from Berlin we never listen the same song twice”, the good Ron observed). The one I can’t stand still when it’s in the air. Salsa allowed me to meet fantastic people and great friends, and to have a lot of fun – also that kind of fun. 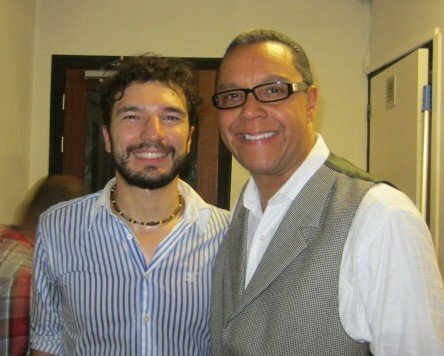 Salsa is the culture I went to explore in Colombia, learning Spanish and discovering lyrics that have values, that give hopes, that are talking about life. 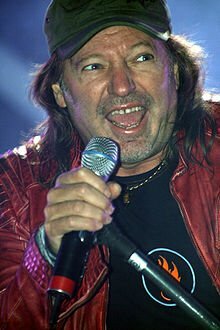 Talking about life, exactly like Vasco Rossi, the singer that the crazy guy wanted to invite to Lecco that Sunday morning. Performing with eStilo at Limburg Salsa Congress, sharing the stage with international dancers coming from all over the World. As you can see from the facial expression, I was at the peak of my dancing career. At the end of the classes I followed in Cali, Colombia, I had to prepare a choreography and perform in order to get graduated in Salsa caleña. 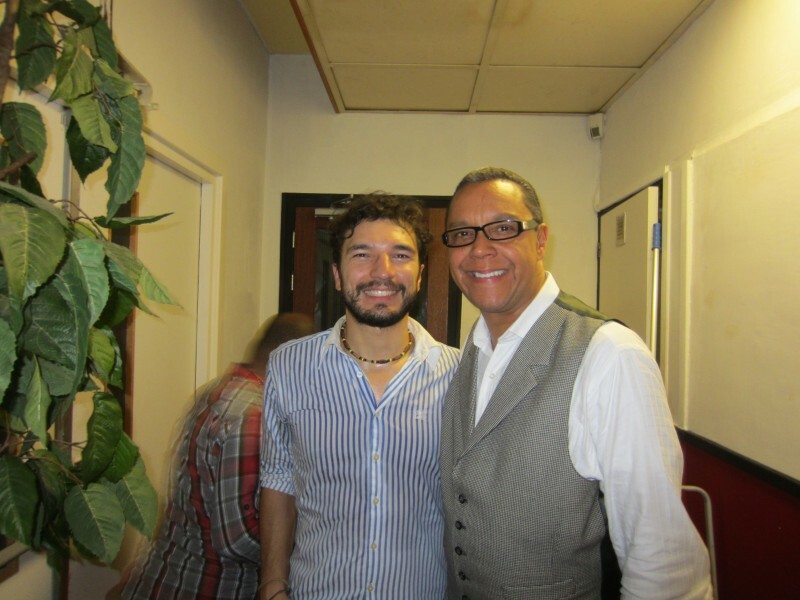 With Herman Olivera, legendary Puertorican singer, just few days ago in a concert here in Amsterdam. 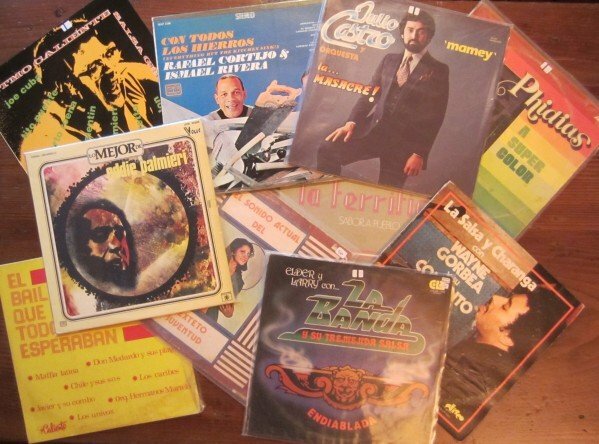 Some vinyls of classic Salsa I bought – my latest curiosity. Most of them are older than me! Playing with the Latin band “Quesada”. Wow, Daniele, you are one hot salsa dancer. I love following your blog and I love you posted a YouTube film of yourself dancing! This is really great. I smile but wonder: should I stab him with the DPNs or strangle him using the circular knitting needle? I’m quite annoyed with him because of the way he puts down something I enjoy, but at the same time I think it has to do with envying the fact I have something I enjoy and will keep doing no matter what other people may think. And the same goes for everybody else around me. If you find something that makes you happy, you just go for it and to hell all the others. It’s normal that people that do not know anything about salsa, or are not used to dance, to have this kind of reaction. It was more or less your initial reaction when I proposed you “let’s go to have salsa classes” ahahaha. We are always afraid or we refuse to immediately accept something that is unknown or different for us. I agree with everything, including the StarTrek-y outfit… I got all sort of comments about it: Mr Spok, Captain Kirk and the like. haha! Eaglet… thanks Ferrari of Salsa! Daniele! Amazing video of you dancing in Colombia! I loved it. A classic from the bogaloo era!! Y además un salsera Daniele, impresionante… avisame cuando vas a bailar en BsAires! I just loved reading ur article! and the other ones on salsa..
everyone with a salsa passion can relate to your experience! it started many years ago for me, and given me a lot of energy! i still have a dream…to go to Cali and join a salsa class there…have u visited? Ts I’ve been to Cali, Colombia and I got classes of Salsa Caleña from Luz Aidé, owner of Son de Luz school (http://www.sondeluz.co/).